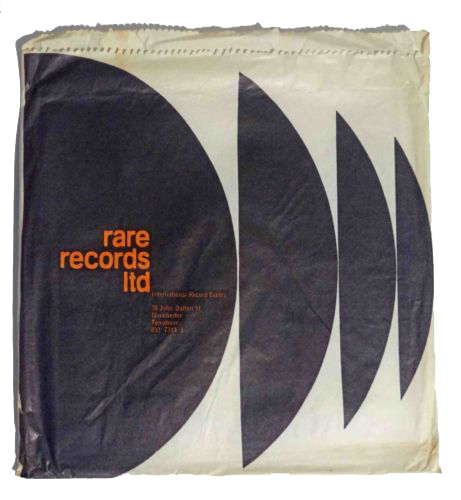 "I ventured into this place called Rare Records on John Dalton Street in Manchester, I went into the basement and I remember to this day it was like a sea of future happiness. I'd never seen so many old 45s, allin covers, really well organised. It was a defining moment for me because it gave me somewher to remeber physically and mentally for a few years until The Smiths were formed. I bought The Monkees' Valerie, I'm Not Your Stepping Stone because I knew the Pistols covered it, and the Isleys Brothers' This Old Heart Of Mine whith Behind A Painted Smile on the other side andthat kicked off a relationship with Tamla Motown which I've had to this day." The Marr boy is correct - the basement was the place for killer soul singles. I never knew James Brown released that many - " There Was a Time " my first purchase. The younger of the store guys ( Steve ? ) went on to promote some wonderful Saturday night gigs at the old original Band On The Wall club. Until Goldmine records this was THE shop for soul fans in central Manchester. Comment:Brent Cunliffe. (Jan 15, 2013) Steve Forster said:Blimey, that was me that worked in Rare Records. I promoted gigs for the New Manchester Review at Rafters and Band On The Wall (also wrote for NMR) before working full time for Band On Wall in 1980's. Happy to see we may have helped Johnny Marr's musical education. A great shame record shops seem to be dying out now. I now work as a publicist based in Norwich.